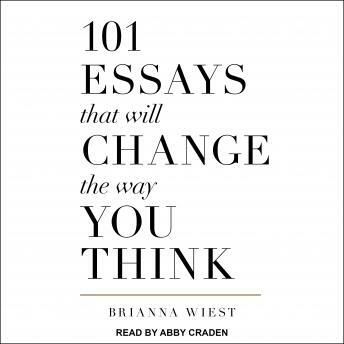 Listen to "101 Essays That Will Change The Way You Think" on your iOS and Android device. This is a good book to dip in and out of for daily inspiration. A lot of the content though when listened to on an audio book, is repeated quite a lot, and the list format is impossible to follow, just random numbers being called in the end.